TACLOBAN CITY – The queens of Pasaka Festival of Tanauan and Lingganay Festival of Alang-alang, both from the province of Leyte, were proclaimed as first runner-up and second runner-up, respectively in the 2012 Sinulog Festival Queen pageant held on January 13 at the Cebu City Sports Center. Tanauan Pasaka Festival’s star dancer, Miss Nerissa Lopera Modesto, a freshman student at the Leyte Normal University, won, among others, a cash prize of P30,000 as the first runner-up in this year’s Sinulog Queen search. On the other hand, Conchitina Cleofe Cloma Yu of Tribu Lingganay, Alang-alang, Leyte, was declared as the second runner-up. She received among others, P20,000 cash prize. The Sinulog Festival Queen pageant was participated by 15 contestants who are all lead dancers of the various festivals competing in the Sinulog Festival scheduled on Sunday, January 15 in honor of Señor Santo Niño, the Patron of Cebu City. The grand winner in the 2012 Sinulog Festival Queen search was Apriel D. Smith of Lumad Basakanun, Basak, Cebu City, who was proclaimed as 2012 Sinulog Festival Queen and received P50,000 in cash. Miss Shekina Rose Lasola of Dipolog Medical Center College Foundation, who represented the Sandurot Festival of Dumaguete City, was chosen as the third runner-up. Meanwhile, Angel Lou Pates of Lanao del Norte was chosen as the fourth runner-up. Both the third and the fourth runner-up won a cash prize of P5,000 each. The festival queen competition, which started in 2004, is one of the highlights of the annual Sinulog festival. The contest is a search for the lead dancer who possesses the most exceptional qualities, in physical beauty and dancing skills. Contest rules require the candidate to be 14 to 24 years old and single. She must also participate in the Sinulog grand parade and the final performance at the Cebu City Sports Center. TACLOBAN CITY – The Department of Environment and Natural Resources (DENR) has chosen Eastern Visayas as pilot site for the implementation of the National Greening Program in 2012. Moreover, Ms. Daloos disclosed that the NGP aims to post a minimum survival rate of 80% for the seedlings by tapping science and sound upland practices, and confining identified NGP planting sites in areas where there are communities who will be tapped to maintain and ensure growth of planted seedlings into mature trees. The NGP seeks to harmonize all greening efforts in the country and aims to plant 1.5 billion tree seedlings on 1.5 million hectares of land nationwide from 2011 to 2016. QUEZON CITY – The Philippine Health Insurance agency finds itself again embroiled in claims of fraud and illegal practices this time involving one of the largest BPO companies in the country. The question begging for an answer now is: What is PhilHealth doing about it? Accenture is a global company with more than a hundred thousand employees in 48 countries. Investing in our country, Accenture Manila BPO was started in 2003 and has since employed more than a thousand people which the company considers its key to its success. In recent news, it was brought to light that five (5) PhilHealth employees are said to be under investigation after the P114M worth of PhilHealth contributions of the BPO company went missing. Allegedly the now suspended employees were able to manipulate PhilHealth's database. This new accusation of fraud within the PhilHealth System echo past unresolved cases filed against the agency. As mentioned by Rep. Janette L. Garin (1st District, Iloilo) in her numerous interviews, since 1995, it has been consistently reported by media that PhilHealth suffer huge unnecessary losses of about P4B due to fraudulent reimbursements and claims. Unnecessary and overpriced medical procedures and fake medical missions such as the one exposed by Rep. Garin (vice-chair of House committees on Health and Population and Family Relations) involving “suspicious” cataract medical mission in her region as well as the postal checks scam drain one of the “laudable projects of the government”. Rep. Garin laments that to date some of these issues remain unresolved by PhilHealth, that despite numerous exposés on the modus operandi and highly unethical practices involving some health care providers, employers, members and even PhilHealth personnel themselves, no disciplinary sanctions have been imposed to prevent the wounds inflicted on the much vulnerable health insurance agency from festering further and developing into an untreatable infection. In spite of the subsequent filing of bills seeking to empower PhilHealth, the government agency tasked to provide insurance coverage to all Filipinos remain embattled in controversy harming not only the government agency itself but the very people it seeks to help out. To keep the problem from escalating further, Rep. Garin together with her co-lawmakers are calling on PhilHealth officials to begin imposing stiffer penalties and more potent sanctions to protect it from further abuses. Believing in the merits of having a sound health insurance agency for the Filipino people, Rep. Garin advises PhilHealth that, to keep its woes from swelling further and to save its good intentions from being torn into shreds, PhilHealth need to initiate forceful disciplinary sanctions that would include tougher penalties for those who unconscionably continue to defraud the agency and essentially rob every Filipino of his right to receive good quality medical health care. CAMP RUPERTO K KANGLEON, Palo, Leyte – Seven Brand New PNP Toyota Innova Vehicles were formally turned-over from PNP Directorate for Logistics represented by PCI Godofredo C Ergo to the Police Regional Office 8. PCSupt Arnold Rayala Revilla, Regional Director states that these police vehicles are part of the 2010 PNP distribution of vehicle quota and part of the continued effort of the PNP to upgrade the facilities and equipments of the local police force in order to support police field operations under the PNP Integrated Transformation Program. The recipients of the vehicles were Provincial Directors of Leyte Police Provincial Office, Eastern Samar Police Provincial Office, Samar Police Provincial Office, Biliran Police Provincial Office, and City Directors of Ormoc City Police Office and Tacloban City Police Police. With this, he is encouraging the recipients of the new patrol cars to take care and make good use in using these cars at all times so us to enable them to serve the community better. He urges them also to bring about all the necessary efforts in carrying out the PNP's mandated tasks in keeping the crime situation under control, to continue serving the community by giving them a feeling of safety and comfort and to parlay that work in finding a way to make it beneficial to the greater public. Moreover a lecture on the proper care and maintenance of vehicles from the Regional Logistics Division headed by PSSupt Roel B Acidre will be conducted to the recipients. TACLOBAN CITY – The Department of Budget and Management called on the civil society organizations to actively participate in the budget preparation for 2013. DBM Regional Director Imelda Laceras said this is in support to the Aquino Administration’s commitment of promoting good governance through citizen participation in the budget process. Director Laceras informed that a Regional Budget Forum shall be conducted by DBM RO VIII on January 20, 2012 (1:00-5:00 pm) at the Department of Public Works and Highways RO VIII Conference Hall, Candahug, Palo, Leyte. The Budget Forum signals the commencement of the FY 2013 Budget Preparation activities. Expected participants are heads and Financial Management Officer (FMO)/Budget Officer of national line government agencies (DOH, DPWH, TESDA, DepEd and NEDA) and from the 10 State Universities and Colleges (SUCs) in the region. Also invited are Regional Line Agencies where budgets are directly handled by the different Bureaus in DBM Central Office like DENR, DA, DSWD, DOLE, DTI, DILG, DOTC and DAR. CSOs’ involvement in the budget preparation is a relatively new feature of the budget process. Started last year, the Department is continuously making efforts to institutionalize and progressively broaden constructive partnership with CSOs especially on the allocation and utilization of public funds. Hence, interested CSOs are encouraged to attend said forum, Director Laceras said. Director Laceras elucidated that the forum will tackle the recently issued National Budget Memorandum No. 112, which is the National Budget Call for FY 2013. Said NBM provides the policy guidelines and procedures in the preparation of the FY 2013 Budget Proposals. It aims to, among others, flesh out remaining lump-sum fund, strengthen Regional Development Council mechanism, expand CSO engagement, and implement the “Bottom-Up” approach in budgeting. Also to be discussed during the forum is National Budget Circular No. 535 on the Guidelines on the Release of Funds for FY 2012 and the Highlights of the 2011-2016 Regional Development Plan by the NEDA Regional Office VIII. Ms. Juvy A. Lobedica, DBM Information designate said that the DBM RO VIII CSO-Desk headed by CBMS Josefina P. Escoto welcomes requests for clarifications and suggestions. Interested parties may call at 523-1162/7456/1523 and 325-7848. TACLOBAN CITY – The Department of Environment and Natural Resources in Region 8 will strictly implement the “No Plastic and Styrofoam” policy at the Regional Office and in all the field offices, Regional Executive Director Rogelio Trinidad informed. This disclosure by RED Trinidad came in response to a memorandum from Administration and Finance Assistant Secretary Corazon Davis which reiterates an earlier policy to set the example in the non-use of plastics/Styrofoam especially in food handling/serving. In issuing the memorandum, Assistant Secretary Davis encourages all DENR officials and employees to bring their own utensils in buying or bringing food in their respective offices. Security Guards shall not permit entrance of caterers delivering food in plastic or Styrofoam containers inside the offices. Likewise, the DENR cooperative shall not permit persons with food stalls/food centers to use plastics. “We understand that our employees are mainly dependent on itinerant vendors for their lunch and snacks,” RED Trinidad says. “Starting this week however, the regional office shall only allow vendors who do not use plastics (cellophane) or Styrofoam in the packaging of their food,” he added. The “No Plastic and Styrofoam” policy “shall remain enforced for the good of the environment and the health of our people,” says Assistant Secretary Davis in her memorandum. Styrofoam, which is generically known as styropor or polysterene, is a petroleum-based plastic made from the styrene monomer. It has been reportedly classified as a possible human carcinogen by the International Agency for Research on Cancer. Both Styrofoam and plastics are non-biodegradable which when disposed of improperly, results in the clogging of waterways, make their way into the oceans, polluting the water and are toxic to sea life. TACLOBAN CITY – The National Commission for Culture and the Arts (NCCA) in cooperation with Katig Writers Network Inc. and the Leyte Normal University (LNU) - Panrehiyong Sentro sa Wikang Filipino through the leadership of Voltaire Q. Oyzon will be holding its first-ever Katig Han Sinirangnan Bisayas: 2012 Regional Taboan Satellite Activity, a gathering of creative writers in Eastern Visayas next month at the Leyte Normal University, this city. This was learned from Harold L. Mercurio, the regional coordinator of the National Committee on Literary Arts who said that this writers gathering in Region 8 is a committee-initiated project of NCLA jointly implemented by the Katig Writers Network Inc. and LNU to promote creative writing in the region and establish camaraderie among the writers in Samar, Leyte, Biliran and Capul. The said activity is geared to decentralize NCCA projects, activities, and at the same time, establish a core group of writers that will spearhead the preservation of the writings in Waray, Sebuano and Inabaknon in Region 8, Mercurio said. Mercurio further said that activities during the forum include the introduction of representatives from various organizations under the Katig Writers Network Inc., paper presentations, open-forum, and election of the new set of officers of Katig for 2012. Meanwhile, the literary performances spearheaded by the Sinirangan Culture and Arts Development Center of LNU will feature local writers from Leyte and Samar in dramatic reading and mini-theatrical performances. Writers will also be given the chance to read their newly-written poems as part of the said literary showcase. All expenses which include the materials, fare and food during the duration of the activity will be shouldered by the NCCA, while LNU will provide an overnight accommodation for participants living outside Tacloban City, Mercurio concluded. Katig Writers Network Inc. is an umbrella organization of local writers in Eastern Visayas which includes the NwSSU-Lamiraw Literary Arts Organization and CALAO Writers Inc. in Calbayog City and Abaknon Literary Arts Guild Inc. in Capul, Northern Samar. KANANGA, Leyte – LtCol. Joel Alejandro S. Nacnac, the newly installed commanding officer of the 19th Infantry Battalion based in Kananga, Leyte stressed in his assumption speech that every soldier must lead and live by correct and good example in order to attain desired goals not just in the 19th IB but in the entire Philippine Army as well. LtCol. Nacnac, who took over command on January 7, emphasized discipline and professionalism among his troops as they perform their job. “We should make an effort to uplift and institutionalize within our ranks the distinguishing marks of military discipline by following the rules and practicing our code of conduct, and as we do so the sanctity of human rights will be protected, and the rule of law upheld”, Nacnac said. Despite the immense accomplishments of 19th IB under his predecessor, Nacnac remain positive that there are still labors left to be done. It can be recalled that the 19th Infantry Battalion had battled and successfully surmounted an NPA allied sectoral organization in Carigara, Leyte during the term of LtCol. Francis Cabugon. Moreover, Leyte had been declared Manageable Conflict-Affected and Development Ready province a month before Nacnac assumed command of the Philippine Army’s top performing battalion. Nacnac likewise calls on the support of the stakeholders, partners, government and non-government organizations, religious, academe and other civil-society organizations as 19th IB under his leadership pursue its quest for peace and social and economic progress. 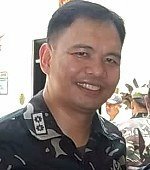 A member of Philippine Military Academy Class ’90, Nacnac formerly was the Assistant Chief of Staff for Civil-Military Operation (CMO) of the 8th Infantry Division based in Samar. He started his almost 22 years of military service as Platoon Leader, Company Executive Officer, Company Commander, Battalion and Brigade Staff, Division Staff. He graduated number one (1) when he took up the Command and General Staff Course, the highest career course for Philippine military officers. Aside from his colorful military career, Nacnac is also a licensed law practitioner. BORONGAN CITY, Eastern Samar – Indeed, there is a prize when the local government unit is always ready with the required documents and early to submit the same. This was said by Mrs. Nida B. de la Cruz, Program Manager of Department of Interior and Local Government (DILG) here, as she referred to the provincial local government unit of Eastern Samar which was recently declared by said office, as a recipient of Good Housekeeping Seal. De la Cruz reported that, as early as January 1, Governor Conrado Nicart was already in his office to help his staff fast track the preparation of the documents required of them by DILG. Gov. Nicart’s prompt attendance and early compliance of the documents resulted in the province’s reception of the prestigious Good Housekeeping Seal with the cash incentive of P15M from the DILG’s Local Support Fund (LSF). Asked for comment, Gov. Nicart expressed elation because according to him, he can pursue his plan to construct more farming facilities with the said financial assistance without so much lobbying with some friends in the Senate. De la Cruz added that should the compliance of these requirements is sustained within the 1st quarter, more cash incentives will be accorded of the province to the tune of P7M. Municipal LGUs would be awarded as well with P1M each. Together with the province, the following municipal LGUs were also able to meet the DILG initial requirements and were prized as follows: Balangiga - P600 thousand; Dolores - P1 million; Hernani - P400 thousand; Maydolong - P900 thousand; San Julian - P600 thousand; Sulat - P700 thousand and Guiuan - P1 million. Similarly, should they be able to sustain the DILG requirements, they would be candidates to receive the next financial support as previously mentioned. Good Housekeeping Seal is awarded as incentive to good performing LGUs vis-à-vis sound fiscal management, transparency and accountability which is in line with President Benigno Aquino’s advocacy and promise to the Filipino people.